9 Features Your Homeowners Policy Should Have – Unless You’re OK With Unpaid Claims? 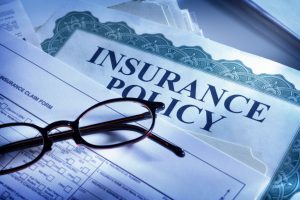 You may be surprised to learn that a Tennessee homeowners insurance policy varies widely from company to company, and is not a standardized policy form. To complicate matters further, some companies include very important coverages in their policy form itself, but other companies may provide those same coverages only if they charge extra premium for them, and then add them on to the policy by endorsement. It is critical for you to know what coverages you have, and above all, to be certain that you have purchased all of the coverages you want for your family. After all, when you experience a claim, you want to have it fully covered by your insurance. You don’t want to miss out on any protection you could have purchased for your family. Let’s consider some of the features that we think should be a part of all homeowners policies. Replacement Cost Coverage For Your Roof – Roof claims are expensive! One way less reputable insurance companies can really charge you less in premium is by seriously minimizing the amount they pay out in a roof claim. What’s a common approach they will take? They will depreciate your roof due to its age, and will do so considerably. Your roofer won’t care that you didn’t get paid very much insurance money because your roof that got blown away was really old, he’s going to bill you for the full amount of the new roof. And if the insurance company really low-balled you, that’s a big difference that you will pay out of your pocket. In addition to your deductible, of course. I’m sure you stashed away that money you saved on your steal of a homeowners premium for a situation just like this? Unless your roof is very old, like 20 years old, insist on replacement cost coverage for your roof. Replacement Cost on Personal Property – Yes, your flatscreen TV you lost in a house fire may have been an older model, but that doesn’t mean you should be reimbursed less because of that – you want to go buy a new flat screen TV to replace yours! Though there are special policy limits for items such as jewelry or furs, your personal property should be paid at its replacement cost to make you whole in the event of a loss. If a company wants to sell you an inexpensive homeowners policy that covers your belongings at their depreciated value due to their age, walk away. They are signaling to you that your out-of-pocket costs are not of concern to them. Sinkhole collapse – Adding this endorsement would mean a direct loss to your home caused by sinkhole collapse would be covered. Without this endorsement, the homeowners policy itself does not cover direct losses caused by earth movement. In Tennessee, we are prone to sinkholes and the number of sinkholes in our area is growing. If your home were to suffer physical damage because the underground action of water on rock causes the earth supporting your home to actually settle or collapse, and your home gets damaged, your damage would be covered only IF you carried this endorsement on your policy. Ordinance or Law Coverage – If your home is damaged or destroyed it will have to be repaired or rebuilt according to current building codes. The ordinance or law endorsement increases the limits available to have your home’s damaged areas meet current building codes, and if your home is an older one, there could be a significant cost associated with doing so. Additional Replacement Cost on the Dwelling – Though insurance companies use complicated replacement cost calculators in determining the exact replacement cost for your home, the unexpected could occur when your home needs to be rebuilt. What if the Nashville area is struck by a series of tornadoes, many homes are destroyed, and the cost to rebuild in Nashville then skyrockets beyond anyone’s anticipations? Make sure you purchase additional replacement cost coverage on your home, usually 25% additional limits above your home’s Coverage A amount , to cover any additional amounts that may be needed to rebuild your home. If any company ever offers to underinsure your home by as much as 25% but then endorse an additional 25% extended limits in order to “save you money,” beware and walk away. That is fraud and results in all kinds of unpaid claims. Identity Fraud Expense Coverage – Unless you are willing to live off the grid, you are exposed daily to identity theft. There are ways to minimize your risk of identity theft, but the best way to offset the expense of recovering from identity theft is to add coverage for identity fraud expense to your homeowners policy. Adding this endorsement assists you with the costs you incur to re-establish your credit history and your credit record if you discover you have been a victim of identity fraud. The amount paid by the insurance company for this coverage may vary, but some companies will provide up to $25,000 of identity fraud coverage, and the additional premium is very low. Water backup – Water backup coverage is purchased at a specific level, typically $5,000-$25,000 of coverage, and may even be included in the policy itself up to a certain limit of coverage. Know what level of coverage you have, if any, and make certain that you are comfortable insuring at the level you choose. If water backs up through your sewer or drain, or if water overflows or is discharged from your sump pump, that would be covered under water back-up. No separate wind-hail deductible. You want the deductible on the policy to be the same amount regardless of the peril that caused the loss. A separate deductible for wind or hail claims, typically a 2% deductible, is actually 2% of your Coverage A amount. On a $300,000 home policy, that means a wind or hail claim could result in a deductible of $6,000! That’s a lot higher than the typical $500-$1,500 deductible usually found on a home policy. And if the separate wind-hail deductible is combined with your roof being covered at its actual cash value? You would have to pay the 2% deductible PLUS pay the roofer the difference in the cost of your new roof above what depreciated amount your insurance paid him. It all comes out of your own pocket. Why expose yourself? Insist on an all-peril deductible that you can afford in the event of a covered loss. Insist on having replacement cost on your roof. Walk away from a company who won’t allow you those features. Special Coverage for Personal Property – This endorsement provides broader protection for your personal property, so that you would be covered in even more situations than the basic policy. It is not an inexpensive add-on, but for the person who wants to know they are covered for just about any claim at all, it’s the right decision to add this endorsement. Our customers know that we will explain their coverages fully to them at any time. We want them to know the value their policy provides them. Your goal with your homeowners policy should be to have no surprises in the event of a claim, because you purchased the right coverages and didn’t leave yourself with any unwanted exposure. We take that very seriously. Call us at 615-974-9668 if you would like to discuss your Nashville homeowners insurance, or come see us if you’re in Franklin. We are at 278 Seaboard Lane in Cool Springs.